Spring usually brings a mix of good and bad. For instance, taxes, is it just me or did everybody owe upwards of five grand? 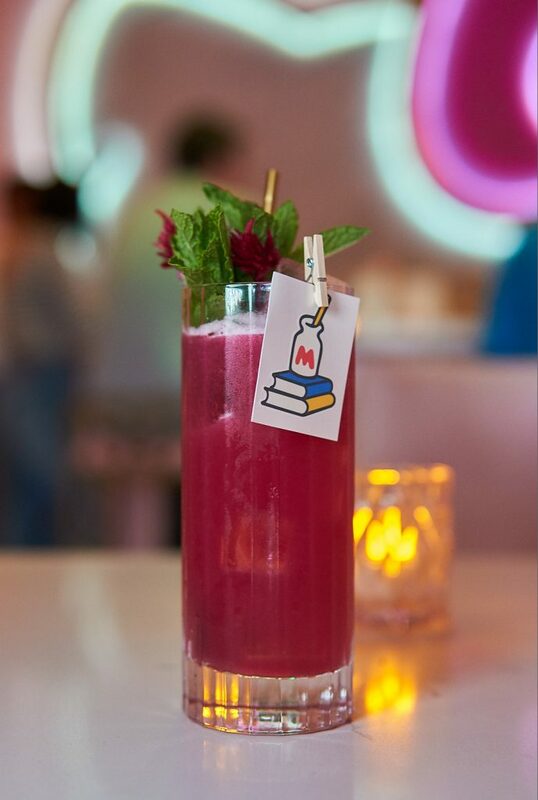 Then there’s the good, where all of my favorite craft cocktail bars come out with fresh new drinks. After shelling out that much cash, I could only think of one thing to do: have a drink. 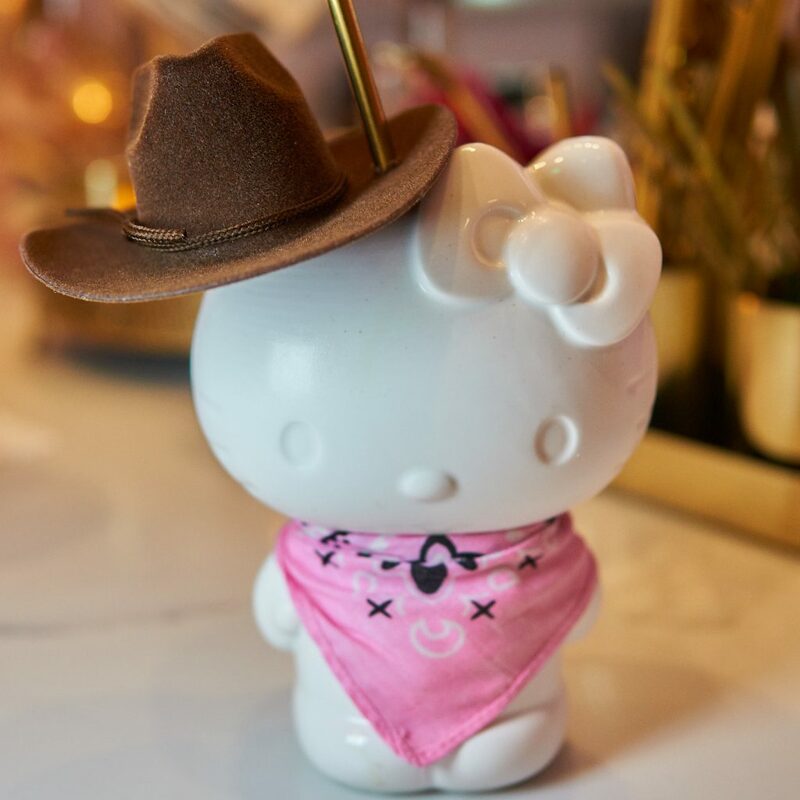 Hello Kitty’s Bow Room is back with eight new concoctions that are meow-worthy, each created by head bartender Emily Delicce who has been with the spot since opening last fall. 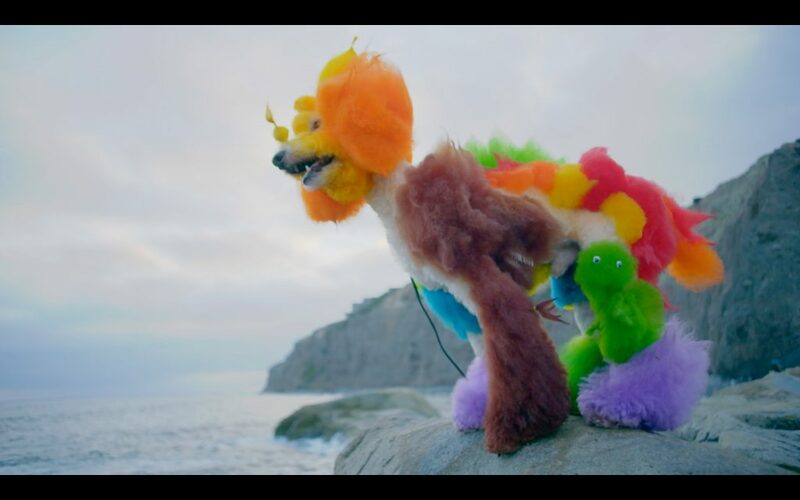 Her creations are kind of a mindfreak, as they look so cute and fluffy yet pack a punch. 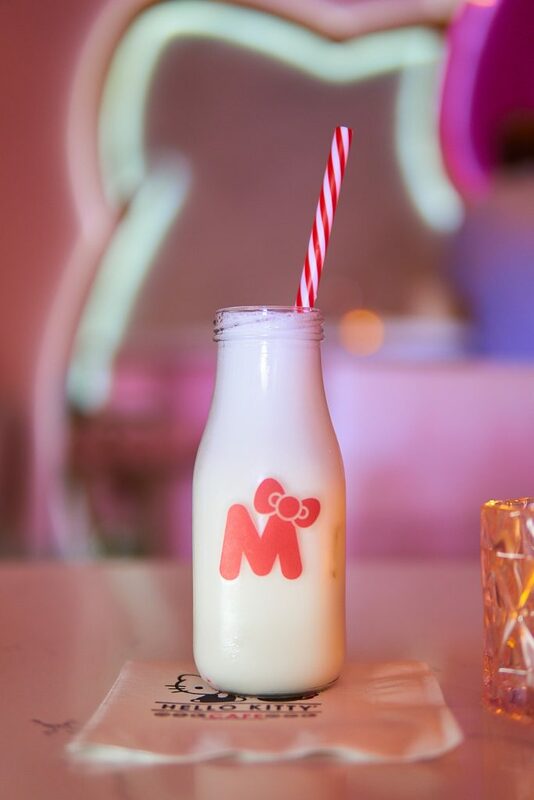 One of the new ones, M is for Milk, is absolutely purrfect with a shaken blend of gin, yuzu, lime, cream, and aquafaba. 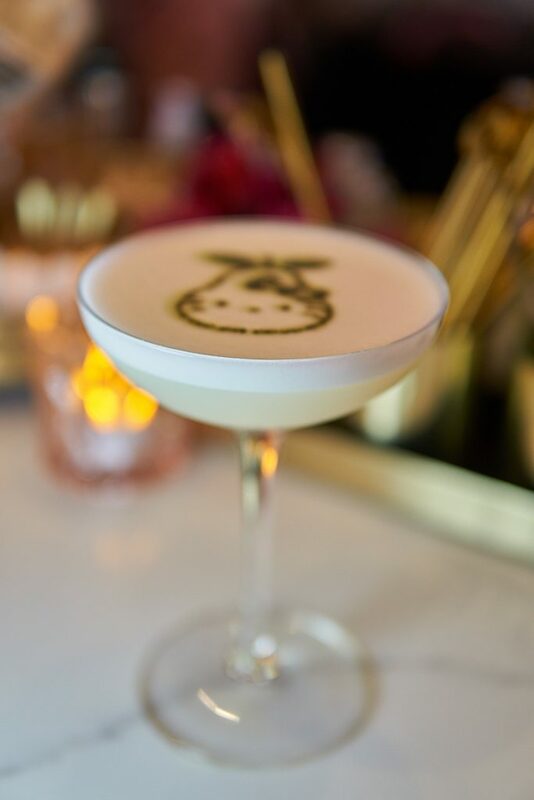 It sort of drinks like a lighter version of a Ramos Gin Fizz that was made famous in New Orleans, but Hello Kitty’s version is served in a vintage milk bottle and has a spectacular blend of citrusy yuzu and gin. “It currently has the Botanist Gin which is based in Scotland and Hello Kitty is based in London, so I’m moving it to Martin Miller’s Gin soon,” says Delicce. 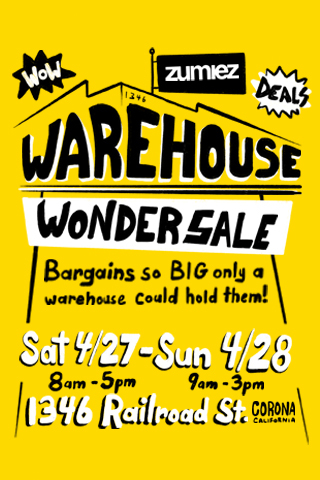 Reservations last 75 minutes, so make sure to bring a few friends to try them all. 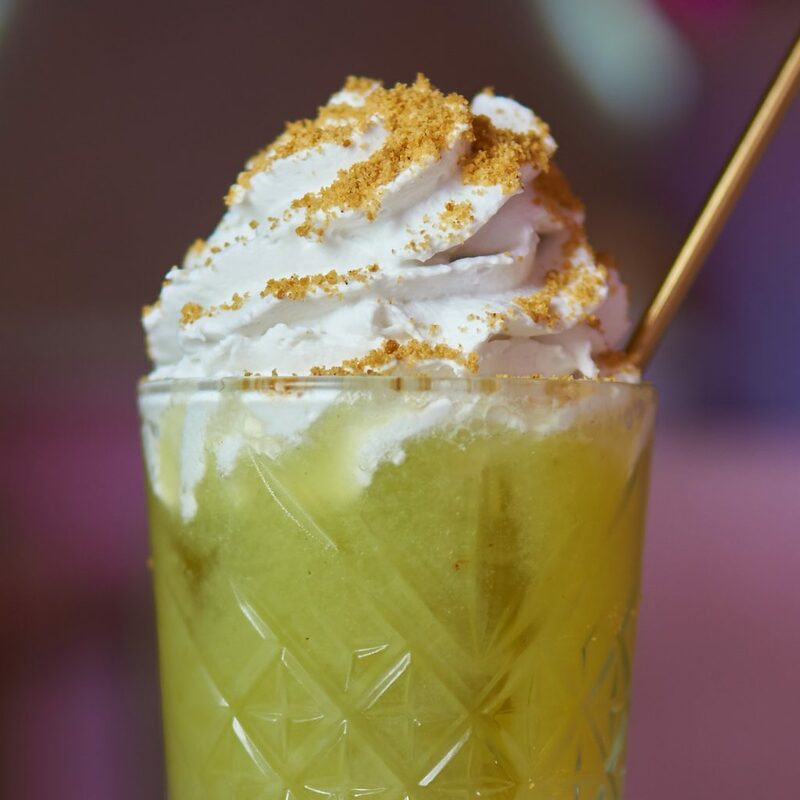 Other drinks to try include Howdy, Hello Kitty, a tiki-ish cocktail that has rum, mezcal, pineapple, and banana liqueur or Truth or Pear, a Japanese Whisky and pear brandy frothy-topped drink that tastes like a caramel-covered pear. If you still haven’t been to this hidden gem, try a couple of the classics such as Hello Kit-Tea or Picture Perfect, which comes with a polaroid picture of you in possibly the cutest bar ever.